Our private label program is very simple. 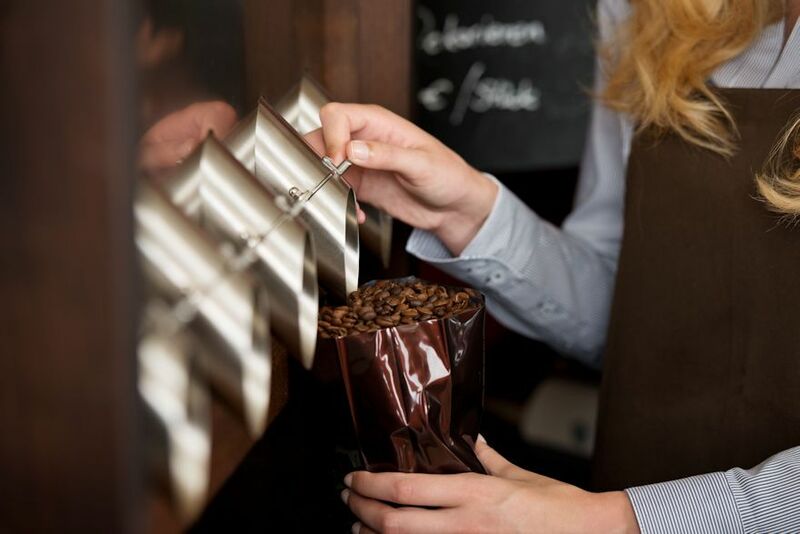 There are several reasons that distinguish our private label coffees from other private label coffee companies. A variety of bag colors to choose from. Quick turnaround time. Most orders within 10 business days. Discount Shipping – We get major discount rates from FedEx and UPS. If you have a logo then upload it to us so we can make you a sample. Resolution in print terms refers to the number of dots per inch (dpi), or the amount of detail that an image has. Most documents prepared for upload should be 300 dpi at 100% of the final print size (See bag dimensions). Keep in mind that higher image quality can mean larger finished file and longer upload times. We prefer images that are in high resolution JPEG format. Each of our stand-up pouches comes standard with a convenient tear notch and a zip lock. Rounded corners are also a standard feature. With its wider panel, it covers more shelf space making it hard for anybody to miss your product. Sticking front and back labels are made easy due to its flat surface. If you want your product to speak for itself then don’t hesitate to contact us.